NIA CHARLESTOWN NEVIS (August 14, 2014) — The economic and fiscal performance of the Nevis Island Administration (NIA) for the first quarter in 2014 has increased over that of 2013, with increases recorded in tourism, construction and financial services, three major sectors which continue to drive the economy of Nevis. This disclosure was made in a first quarter Economic and Financial Review report released recently by the Ministry of Finance. 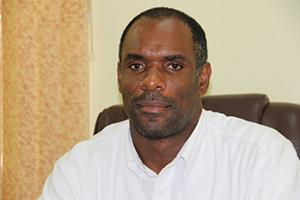 In an interview with the Department of Information on August 14, 2014, Acting Permanent Secretary in the Ministry of Finance Colin Dore, explained the findings of the report. “In terms of Government direct, on the fiscal side we saw revenue increasing by 11 percent over the first quarter of last year, which is a good sign as well,” he said. Dore explained that for the first quarter of 2014 when compared to that of 2013, there was a marked increase in Tourism. “We saw an increase of about 24 percent over last year. Of significant note is the increase in Yacht Tourism. We have seen a significant increase in the number of passengers coming via yachts… Whereas land arrival via airport would have basically remained the same or slightly increased, we have seen major improvement in the number of yachts plying our shores. “Of course, only recently we had two experimental missions in refuelling yachts and we believe that is the start of something that can grow big as we go forward,” he said. With regard to the Construction Sector, the Acting Permanent Secretary noted that there were strong indicators that, that sector was on the rebound. “It is our intention to move these building permits quickly from the approval stage to the actual work on the ground so we can have our people back to work,” he said. Dore also spoke to the importance of the First Time Homeowners Programme which he said has sparked interest in construction on Nevis. “One of the driving factors behind this is the First Time Homeowners Programme, where persons who are constructing for the first time, are able to get some concession on materials imported. “We have actually asked and the Federal Government has consented, to have this extended to December. Originally it ended in June but we are now realising that our sector is just now taking off. Persons in Nevis are just now taking advantage of it and so we have asked for it to be extended for another six months, so that we can maximise fully the benefits of this programme and have our construction sector back to full employment within very short order,” he said. In relation to the Financial Services, Dore explained that there had been growth. “On the Financial Services side we are seeing, as well, some growth even though it is moderate. In relation to the services we provide which are the Offshore Insurance, the Trust companies and so on, we are seeing an increase in the number of registrations in those sectors. “So we are quite happy that the major sectors of the economy – the Tourism, the Construction and the Financial Services are holding their own and showing signs of improvement over last year and I believe this will go well for our economy overall,” he said. However, regarding the NIA’s revenue collection, Dore stated that the Treasury and Inland Revenue Departments had suffered setbacks during the first quarter as a result of a fire in January which had destroyed the hub of government’s financial and expenditure operations. However that incident did not deter the commitment of staff there. “Despite this setback and we are able to achieve this growth in revenue, we have to give credit to the staff and we have to commend them for coming out of this tragedy and rising to the challenge and meeting the targets. “It was a difficult time for all of us. We came through it but it didn’t affect our performance and we want to thank the staff for the level of commitment despite the challenges that we were facing,” he said. The Acting Permanent Secretary in the Ministry of Finance spoke to one area of taxation which had showed signs of improvement during the first quarter of 2014. “It must be noted as well that Value Added Tax (VAT), is showing signs of improvement. The increase in 2014 first quarter over 2013 is 4.4 percent and VAT is a broad-based tax which touches every sector, both service and non-service sectors. “We are seeing improvement in VAT mainly driven by the hotel sector and that has been one of our main revenue earning sources for the first quarter. We expect it to continue and hold constant throughout the rest of the year. Even though it may dip a bit because we are going into the slow season from tourism, we expect by and large VAT would continue to carry its major role as a revenue earning, income generating source for the NIA,” he said. Dore added that although revenue went up by 11 percent, expenditure basically remained the same for the period and explained why. “Expenditure basically remained the same as last year, there is not much change. The major component of our expenditure has been wages and salaries which is basically flat because what we have been trying to do is to hold down employment as much as possible and only employ where really absolutely necessary,” he said. Debt servicing, another major area which fell under expenditure, Dore noted was under “moderate control.” He also made reference to the issues of retirement benefits and gratuities and other pay-outs. “We have been able to keep that under moderate control as well, coupled with the fact that we are going through the debt restructuring exercise which resulted in some reduction in our debt servicing payment on a monthly basis. “In addition to that, we have things like retirement benefits, gratuities and so on which we have been able to keep constant, So overall, even though there was an increase in revenue, coupled with management of the expenditure, we were able to ensure the financial situation was kept under control…we were able to use some of that excess to pay off some of our arrears from last year. So overall we have brought our arrears even further down,” he said. However, Dore reminded that Nevis was still a part of the International Monetary Fund (IMF) programme, which meant the management of arrears and control of expenditure had to be kept in check. “We are making every effort to do that with the moderate gains we would have made for revenue in the first quarter,” he said.